An attorney for a man beaten by sheriff's deputies after a pursuit in the San Bernardino County high desert said his office was searching for dispatch recordings after two women came forward saying they heard the takedown over police scanners. The women said they heard what sounded like an open radio microphone and deputies talking to each other about kicking 30-year-old Francis Pusok as they attempted to take him into custody, attorney Jim Terrell claims. "You can hear the dispatch saying, 'There's an open mic. There's an open mic,' warning officers what your words are saying are being recorded," Terrell told NBC4. Terrell first described the audio as a recording, but later said the account was told to his investigator. An attorney for a man who was beaten by San Bernardino County sheriff’s deputies after a horse pursuit says his client was punched and kicked 71 times in the incident, leaving him hospitalized with head and back injuries. Jane Yamamoto reports for the NBC4 News at 5 p.m. on Saturday, April 11, 2015. Terrell said his office plans to subpoena the dispatch recording as well as any audio from recorders the deputies were wearing the day of the incident. The attorney visited Pusok at the West Valley Detention Center on Saturday afternoon to ensure that Pusok was receiving proper medical care for injuries to his head and back, including a gash on his head. "His body is battered, there's bandages over his legs, his arms, his back," Terrell said. During the visit, Terrell said Pusok recalled several moments from his arrest. "He remembers that he was hit by a stun gun and the stun gun was definitely effective," the attorney said. "He put his hands behind his back. I think he said things like, 'Stop beating me.'" The pursuit about 90 miles northeast of Los Angeles began after San Bernardino County sheriff's deputies attempted to serve a warrant at an Apple Valley home as part of an ID theft investigation. 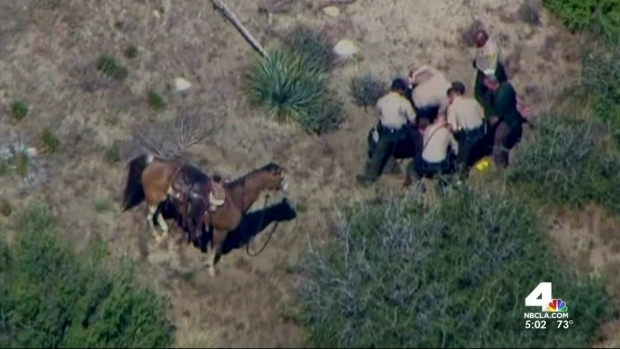 The suspect left the home and led deputies on a pursuit by car, then horseback. 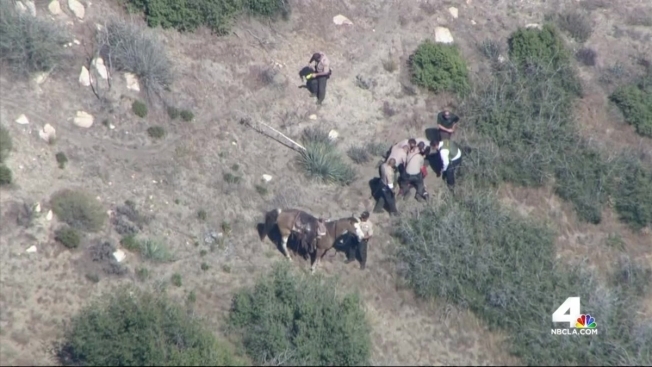 Pusok fell from the horse in rough terrain. Aerial footage captured by NewsChopper4 showed deputies using a stun gun on Pusok, then punching and kicking him while he was face down. Ten deputies were placed on paid administrative leave pending an internal investigation into the beating. The FBI has also launched an investigation to determine whether civil rights were violated in the incident. 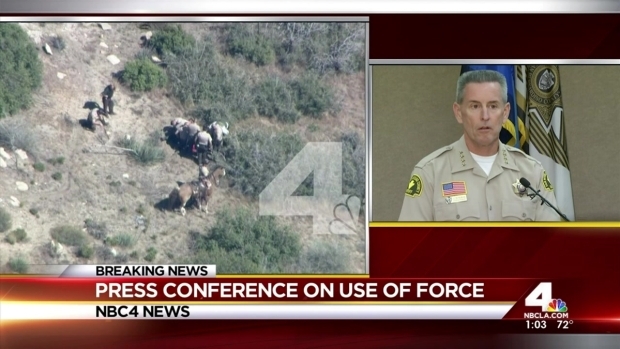 NBC4's Kate Larsen contributed to this report.